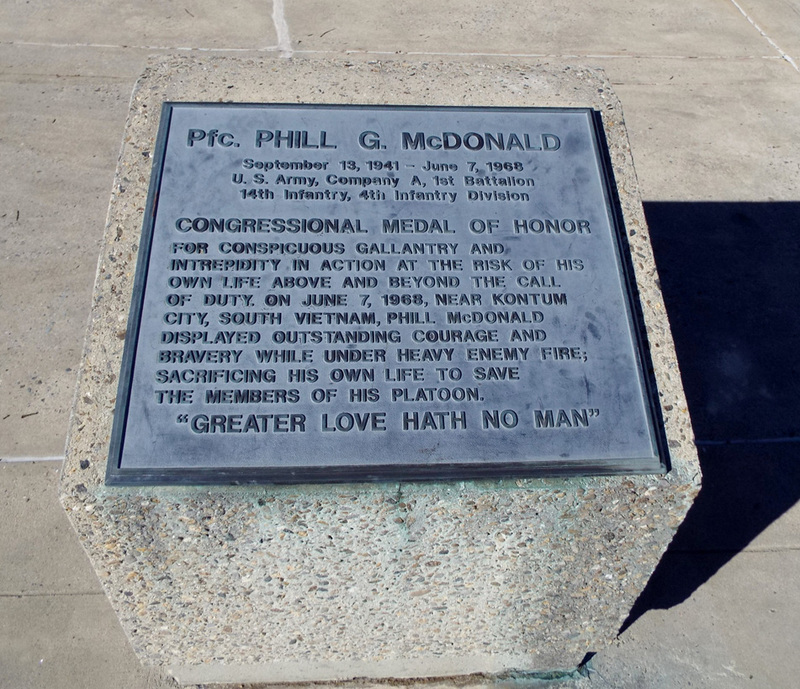 A simple, unadorned, lectern shaped concrete marker commemorates Army Private First Class Phill McDonald. A square bronze tablet is attached to the top. 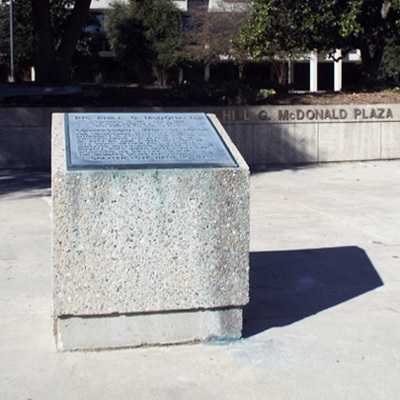 The memorial marker stands in the Phill G. McDonald Plaza at the Guilford County Governmental Center. McDonald was born in West Virginia but had moved to Greensboro prior to being drafted into the army in 1967. An Interstate 64 bridge over Glade Creek, Raleigh County, West Virginia is named in his honor as is a portion of Route 80 in McDowell County, West Virginia. 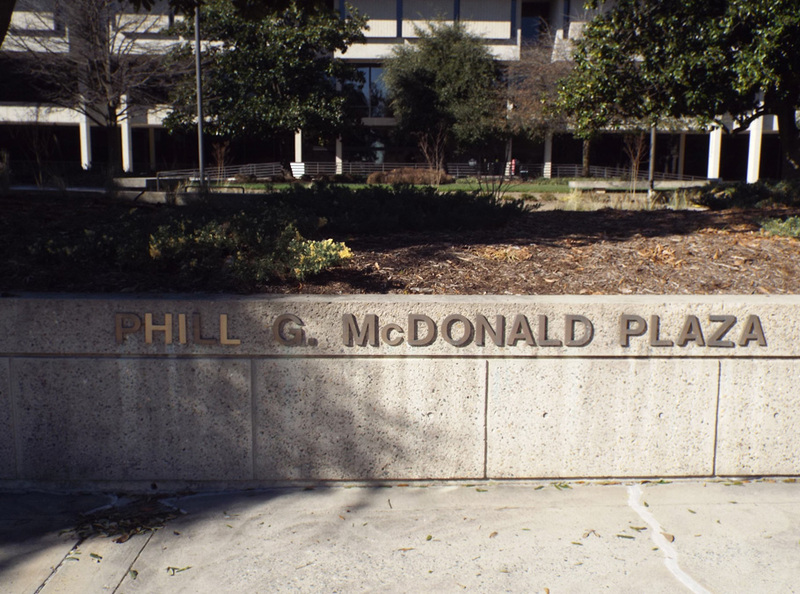 The Phill G. McDonald Plaza faces S. Green Street and is bracketed on three sides by the current Guilford County Courthouse to the west, the Greensboro Police Department to the south and the Old Guilford County Courthouse to the north. 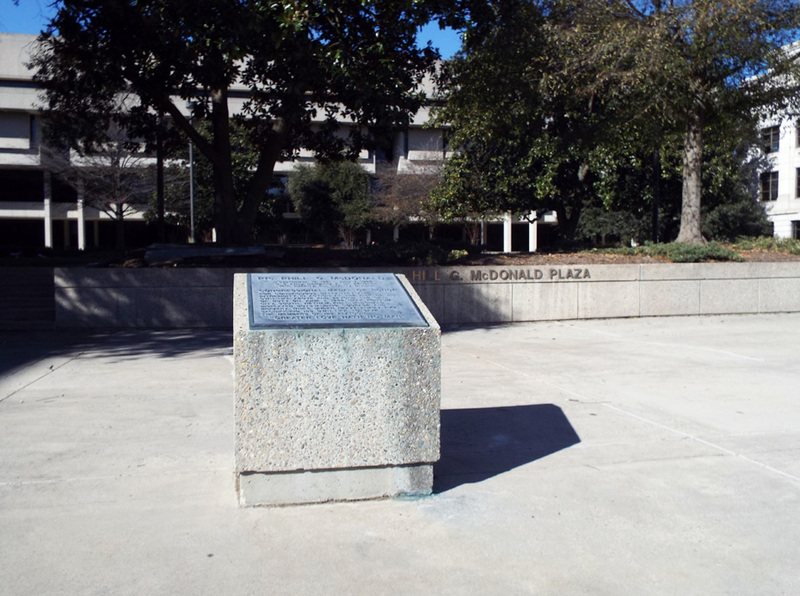 The Guilford County Vietnam and Iraq and Afghanistan memorials are just a few feet away. A short distance to the east is the Greensboro Millennium Gate. A short distance to the west and in front of the Old Guilford County Courthouse is the MSgt. Edwin V. Bain memorial marker. The memorial marker stands on a paved plaza.